I had a lovely day today, LO and I started it off with a movie at the theater. Not the typical movie I would want to see, but Warm Bodies actually turned out to be enjoyable and fun. I would totally recommend it to anyone looking for a lighthearted and funny movie. My in-laws just arrived this afternoon, so I have the week to look forward to spend with them. Yay. 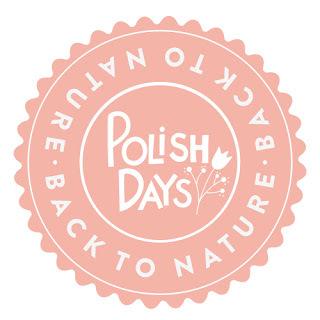 When I found out what the next Polish Days theme was, Nature, I knew I was going to have trouble coming up with a good mani. I'm not super talented with nail art, and the theme itself was a bit of challenge. I didn't want to do something too easy like white glitter for snow or an underwater themed blue nail polish, so I came up with an idea of lightning, but after trying it out with a sponge gradient, I totally failed. I couldn't get my art brush to make thin enough lines for the actual lightning. 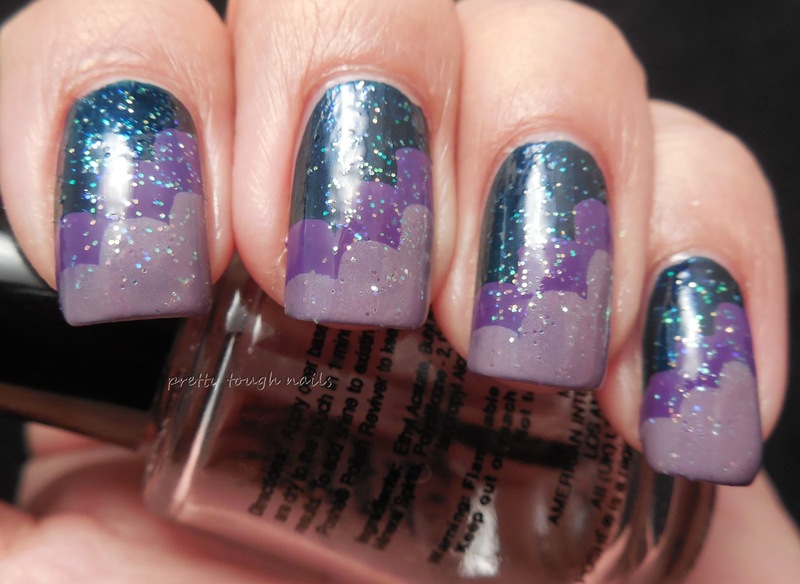 So instead I went easy and did a simple cloud manicure. 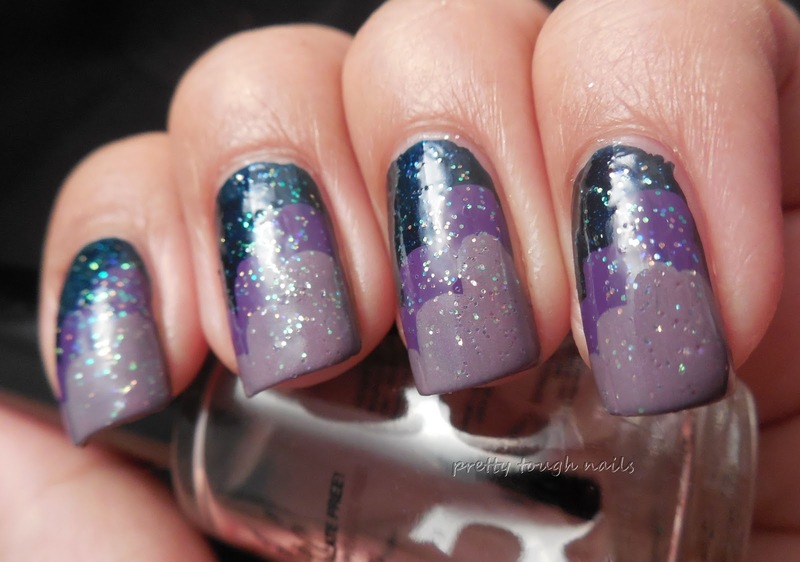 I envisioned this cloud manicure as that moment during sunrise when the sky is dark to the west and you can see the progressive lightening of the sky towards the east into shades of purple and blue. 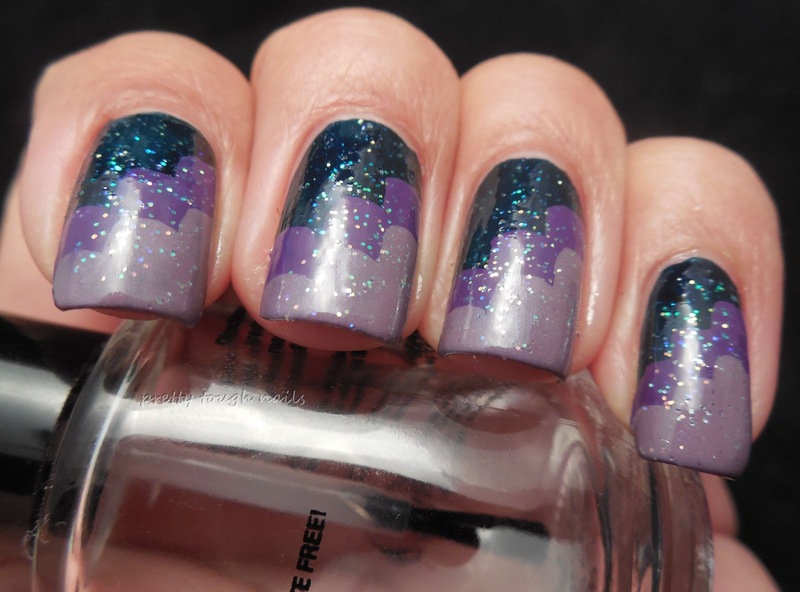 I started with a dark blue base of Rescue Beauty Lounge Under The Stars, which I thought aptly named for this mani. I then used a a middle layer of Rescue Beauty Mismas, a medium blue based purple creme. I used Rescue Beauty Lounge Insouciant for the last cloud layer, and then topped it all off with a iridescent glitter by NYX to represent the stars that would still be in the sky. I added a layer of SH Insta Dri to quicken the drying time. If you're wondering why I used RBLs for this mani, it's because they're the most organized polishes in my helmer and I know that they're all nearly one coat opaque polishes so they'd be ideal for layering light colors over dark. All in all I don't think it turned out too bad, but I'm not sure if it's really a "nature" themed mani, although I think sunrises and sunsets are nature at it's full glory. What I liked best is that I didn't have any cleanup! Imagine that, a nail art mani with no clean up. LOL. 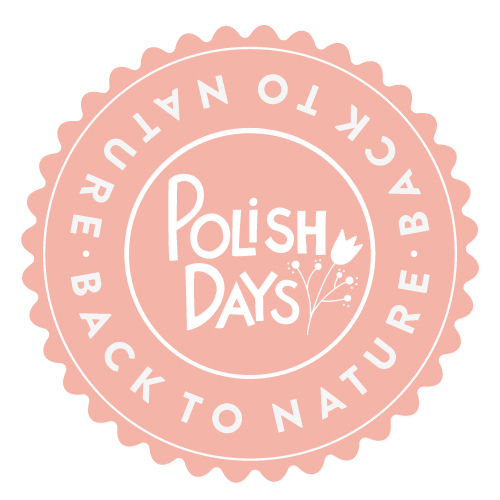 Please check out the rest of the awesome nature themed manis for Polish Days by clicking on any of the pictures below! 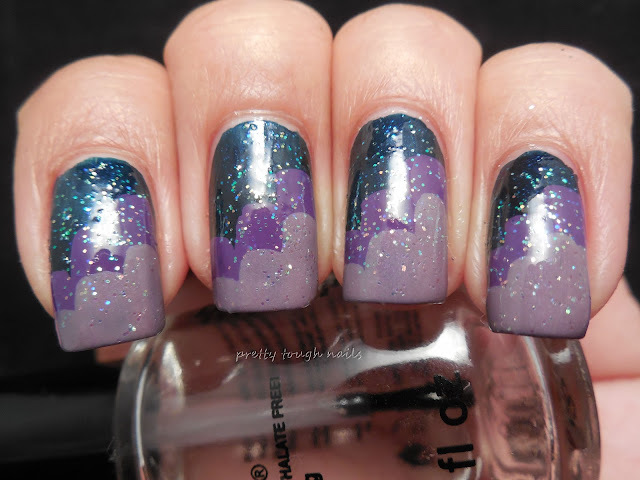 Beautiful mani; and love your interpretation! thank you! i wish i could have executed the original plan, i just don't have the talent. I loved your mani!! lovely inspiration and great result! thank you, yours is fantastic! Hi, Thithi! Your mani is lovely and one of a kind. It's happy-making to look at! Hi Lisa! Thanks for stopping by! I really have to try that OPI you used in your mani.